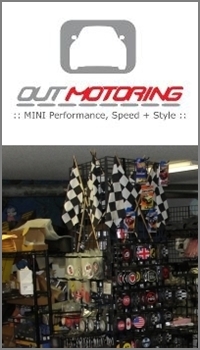 We expect the fine folks from Willis Auto Campus in Des Moines to join us. 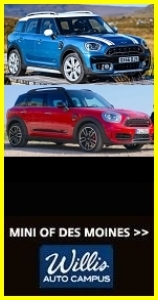 For those who don’t know yet, they have been awarded the very first MINI Cooper franchise in the State of Iowa. They’re ready to answer your questions about the new franchise. 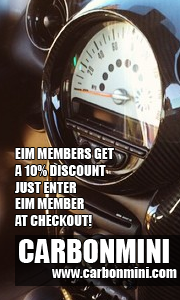 Details including times, address, phone, map, and links for restaurant info and RSVP sign-up, are available in the EIM Event Calendar Entry on NAM. Let us know you’re coming so we can arrange sufficient seating. If you’re new to our group or don’t yet have a NAM identity, you can RSVP by simply leaving a comment using the comments link above. For those whose interest is peaked, the Vernal Equinox occurs precisely at 12:32 CDT on March 20th. To Spring! The spring pic that goes with this post is super great! See you in Decorah on April 17th! Willie is looking forward to meeting everyone!